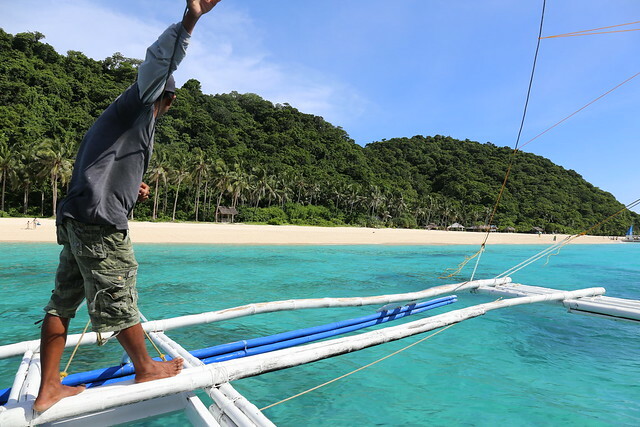 This famed beach resort island in the Philippines really is like what you see in the travel photos. My photo above is not even edited at all. Straight out of the camera. Azure blue waters so crystal clear, white sandy beaches, verdant greenery -- yes, everything you ever want in a tropical paradise, it's here. But I never realised how tough it is to actually get there. 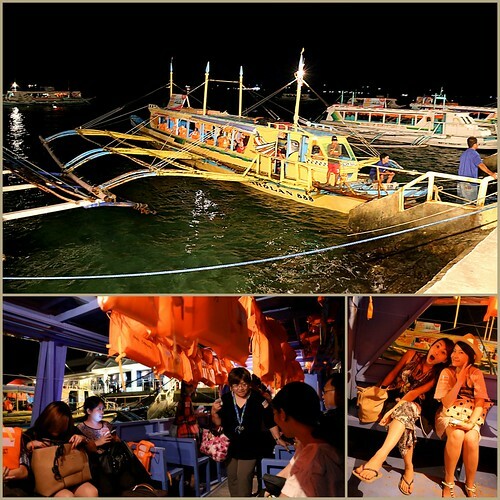 4) take a ferry from Caticlan to Boracay island, and then transfer to your hotel. It can take one whole nerve-frazzling day just to arrive. By then you'll be so beat, you WILL need that holiday! 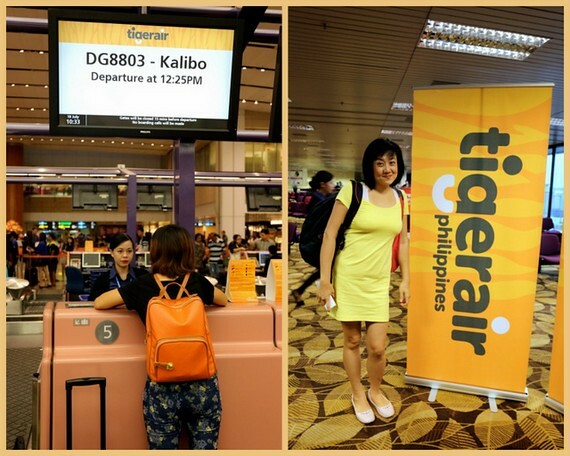 But now, Tiger Air flies direct to Kalibo! 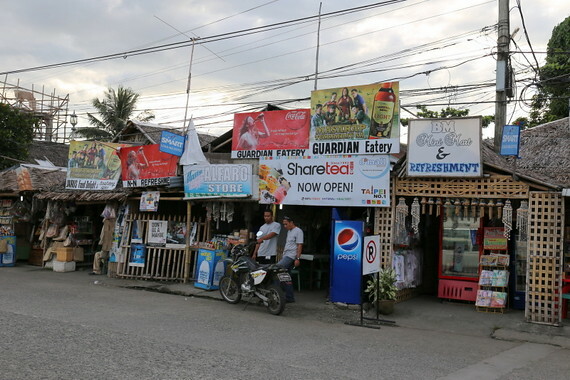 That effectively shaves off half the hassle and you can start traveling directly from Kalibo without waiting. Shortcuts to paradise -- I think it's good news! Plus the flights can start from as low as S$66 one way (early bird rates, before taxes, subject to availability/changes). We were invited to join the inaugural flight on 18 July 2013. 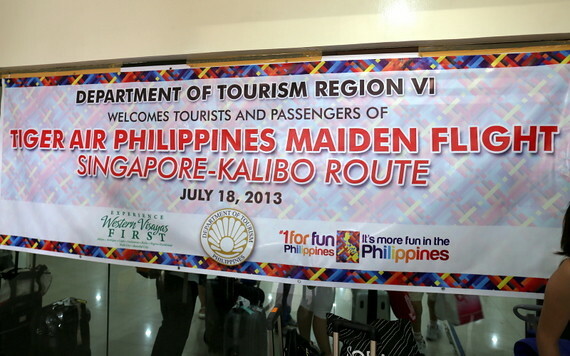 The whole trip was made possible by the Philippines Department of Tourism in conjunction with Omy.sg. 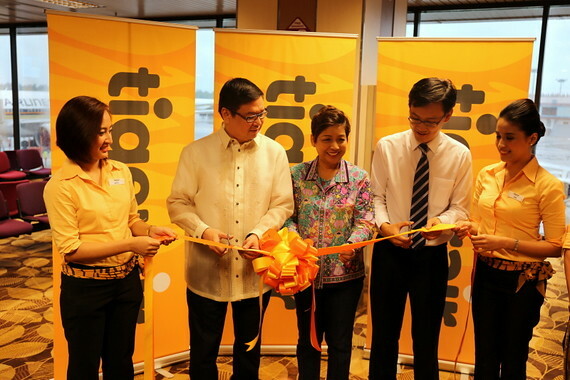 Tigerair Philippines VP for Commercial Joey Laurente (second from left) and Minda Cruz (centre) at the ribbon cutting ceremony at the Changi Airport departure gate. They also flew with us to Boracay. I love first flights...it's always a little bit of history in the making. Oh what the heck, I love flying, period! And we arrived 3.5 hours later in Kalibo. Which is amazingly rustic and charming! 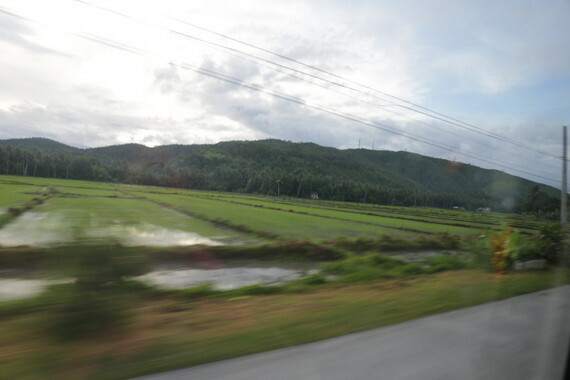 You'll see lush paddy fields and wooden attap houses upon descent. They come right up to the lone runway. 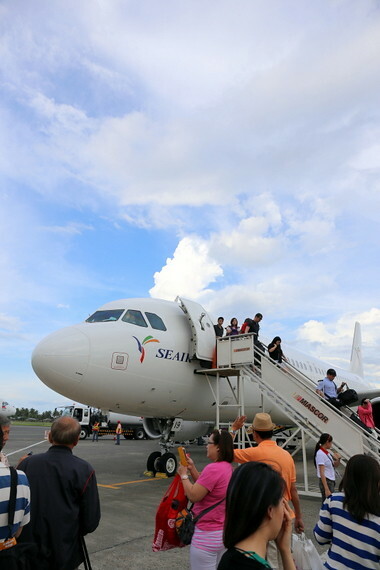 On the Kalibo side, they were also celebrating the first SIN-KLO flight of Tiger Air Philippines. 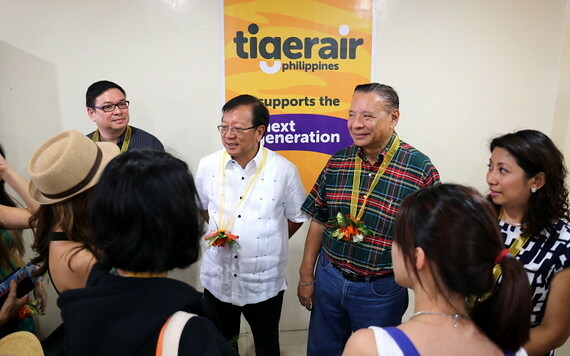 We were very kindly greeted by the Governor of Aklan, Florencio T Miraflores (second from left), the previous Governor of Aklan, Carlito S. Marquez (second from right), and Tiger Airways Philippines CEO, Olive Ramos (far right). Everything got off to a rollicking start! 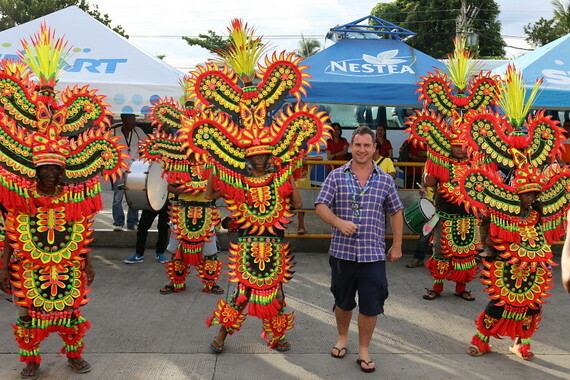 These are Kalibo Ati-atihan dancers showing us a taste of the oldest festival in the Philippines. You can't help but want to join in, as someone clearly did. Outside the airport, the charm continues in little shops...even a Share Tea outlet in most rustic garb. 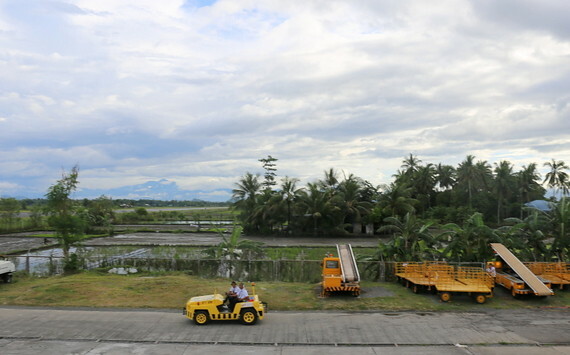 Most hotels will arrange transport and transfers for you from Kalibo. A minivan took us from the airport to Caticlan. The 90-minute ride is a pretty scenic journey but slightly winding for some. 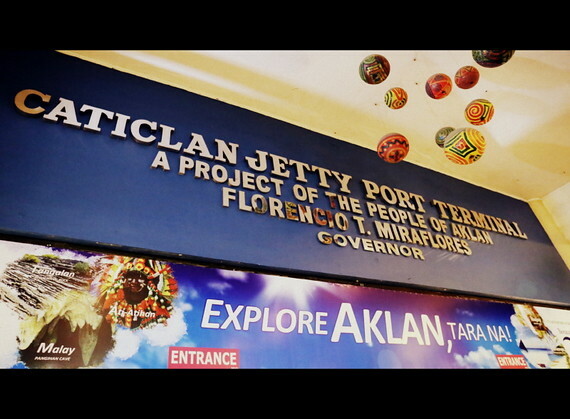 At the Caticlan jetty, you can start feeling the holiday vibe. The ferry is just a 15-minute ride, fortunately. 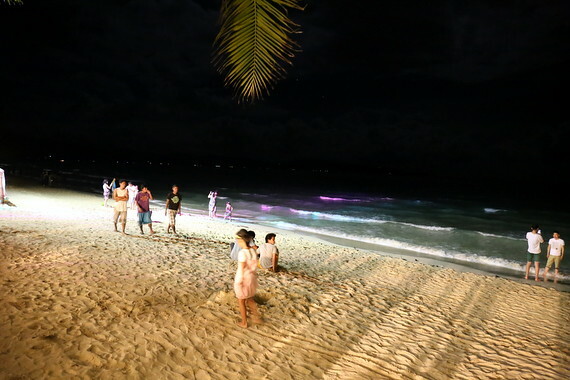 And we were very happy to arrive at the Boracay Regency Beach Resort which comes right up to the beach! The place is so big, it has its own McDonald's! 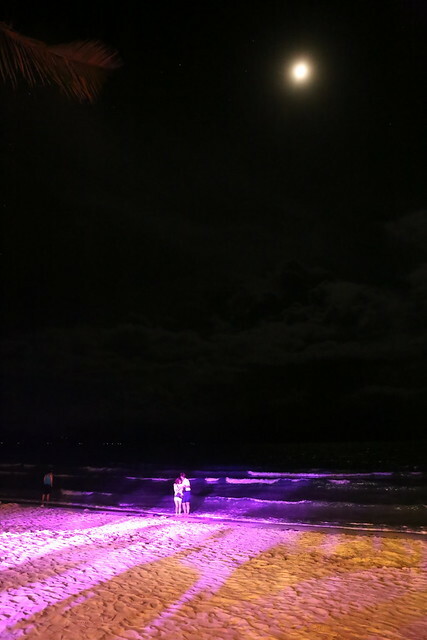 Ah it was night, so we couldn't see the full beauty of the blue sky and blue seas. But the sand is gorgeous. We knew we would be in for a treat the next few days. I can't wait to show you more, but I'll leave you with this for now. i love your last photo! 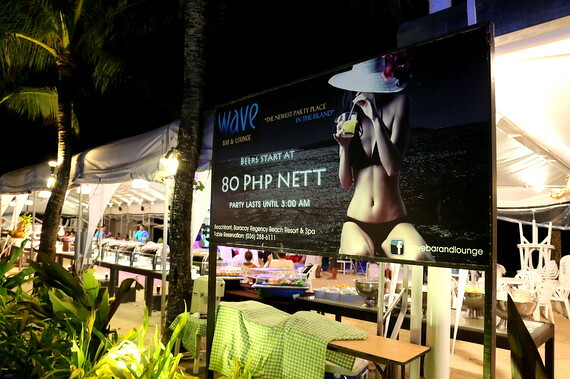 It's also now easier for us who are Boracay-based to go to Singapore. Thanks to this new Tiger Air route. Seems that you have a safe flight going to boracay..Thanks for sharing this to us.